We had a beautiful summer, adequate moisture, and excellent yields in our gardens. But all good things must come to an end - heavy frost. With that said, I am looking forward to next year’s challenges and what I want to grow. It is time to reflect on what grew well in the garden as well as what did not do so well. Hopefully you have kept a garden journal to help you in this task. The University of Minnesota Extension recommends writing down details of what is planted, the orientation, spacing, fertilization and frequency, weekly rainfall amounts, production amounts, etc. as this is helpful as you start planning for the next season. You should start thinking about what you want to grow in 2019. Take time to reflect on your 2018 garden production, care, and location. Also, evaluate what went right and what went wrong with the plants and varieties you planted and harvested. This will start you off in the right frame of mind in preparing for the next growing season. Good planning and preparation for next year gives you the tools to have an even better gardening season. Clean up the Garden: Your best action is to remove any spent or failing plant materials. Experienced gardeners know that many of the bacteria, fungi, and other disease-causing organisms are still in the garden debris. Pathogens that are sources of those diseased plants this past season can survive over the winter in dead leaves, stems, roots, and dropped fruits that were left in the garden. 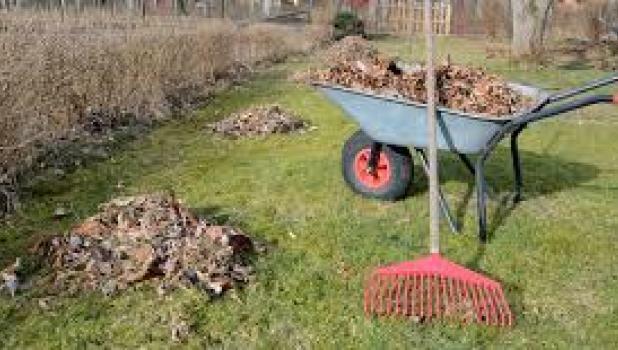 Garden debris will carry the pathogens that can come alive with those same problems when the temperatures begin to rise in the spring. Prevention of diseases and insect infestation now, will keep you from a repeat of problems in next year’s garden. A good leaf rake, works well in getting the bulk of dead plant material out of your garden. If you experienced early or late blight or other tomato related diseases this past growing season, you want to make sure you reduce, to the best of your ability, the risk of repeating that problem again next year. Yes, there are many new varieties of vegetables available today that are ‘resistant’ to some of these diseases, but ‘resistant’ does not mean they are immune to them. You do not want to take the chance of returning pathogens, so do a good job cleaning your garden now. Make sure, when removing the plant debris, that you totally destroy that debris so that no pathogens are left behind. See complete story in this week's issue.